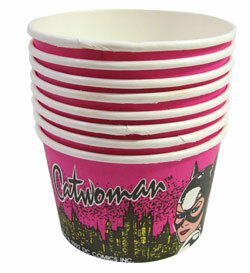 These waxed cardboard Catwoman™ ice-cream cups from Unique Ind, Inc. are from 1992, but they come in their original plastic bag of (8), and are as well-preserved as Catwoman is today. They measure 3-3/4" dia x 2-1/2" deep and hold about 7 oz, but we know you're not going to defile these valuable collectibles with scoops of raspberry ripple. Top is a 7” dia red plastic funnel, with a removable 40” long x 3/4” ID acrylic tube attached, with an equally removable red plastic stopcock at the other end. Handy for a staggeringly wide array of uses with an even wider array of liquids. 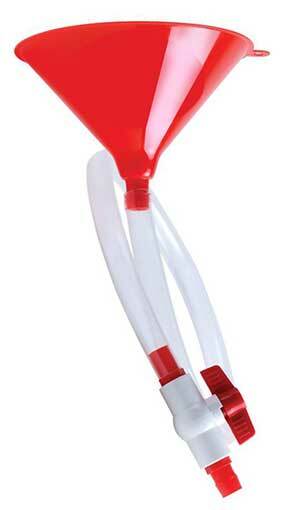 Originally marketed as a “Party Bong” for college beer bashes, we’re looking at it as a really inexpensive funnel with a valve--you know, for more sciencey applicatons. 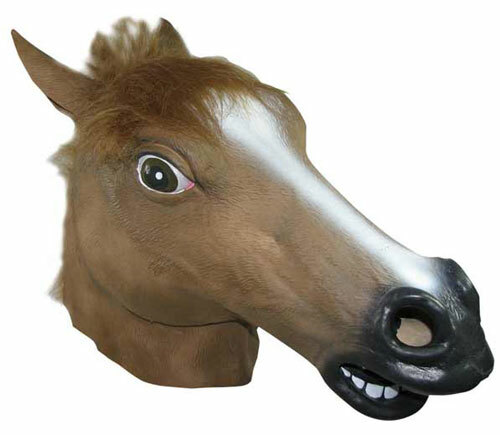 Our favorite rubber horse's head mask might unsettle the other folks on the bus, but don't let that stop you. Measures 17" long from genuine fake horse-hair mane to wide open nostrils and mouth, which are open so you can see through them. (You really have to see this on someone to appreciate it!) This colt's a sorrel/bay - OK, brown - with a white blaze and great big eyes. Looks a little like he's not real happy about going into the gate. Wear it with, yes, jockey shorts. Unfortunately this grand assortment of flags from America's past came without explanatory text - or maybe that's fortunate. Might make a challenging research project for a young historian. 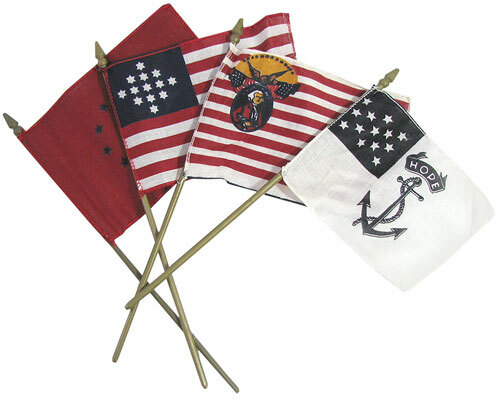 Cloth flags, about 4" x 6" (sizes vary slightly), on 10-1/2" gold plastic staffs. 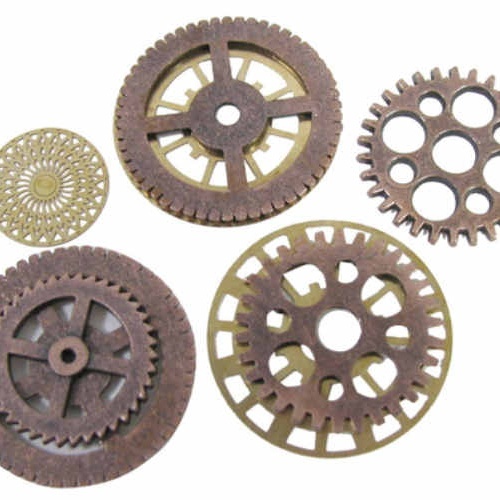 They even come from a U.S. manufacturer! Not all are U.S. national flags, but as near as we can tell all are part of American history. You'll get a shipment of (5) different flags. Wave on! 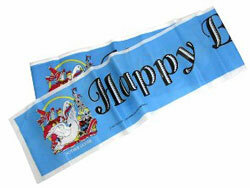 6-1/2" x 40" plastic banners with Mother Goose design and "Happy Birthday" message. Perfect for parties, if a tad obvious. They could be dust covers for control panels, because every day at work is a celebration. 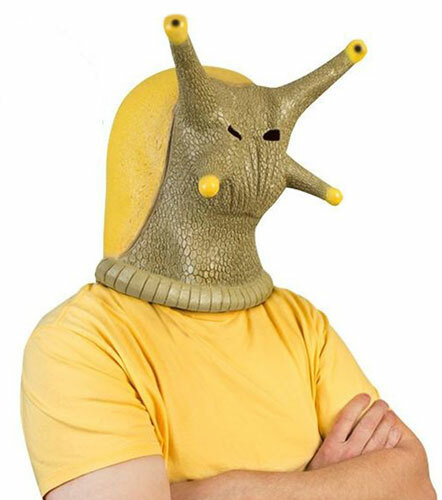 Try slipping into this full-head,15” latex banana slug mask. The top two eye-stalks are poseable, which means you can look like an angry or even depressed banana slug. 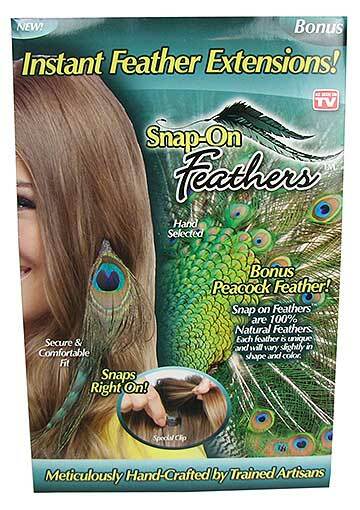 In yellow and brown and for ages 14+. Sorry, no discounts for graduates of UC Santa Cruz, home of the Banana Slugs, but do send us pix. Go Slugs! The problem with cocktail parties in the lab is that the test tubes full of cheer keep falling over. Yes, we can help. 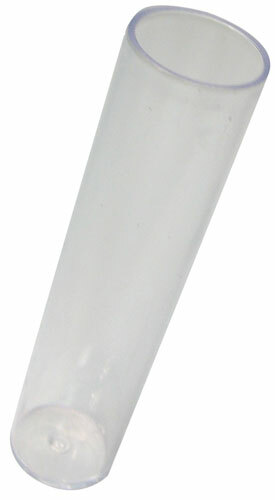 Try this set of (12) clear plastic test tubes with flat bottoms. Measure 4-1/8” tall x 15/16” ID and they hold about 1-1/3 oz, although a 1-oz pour is probably more sensible, spillage-wise. 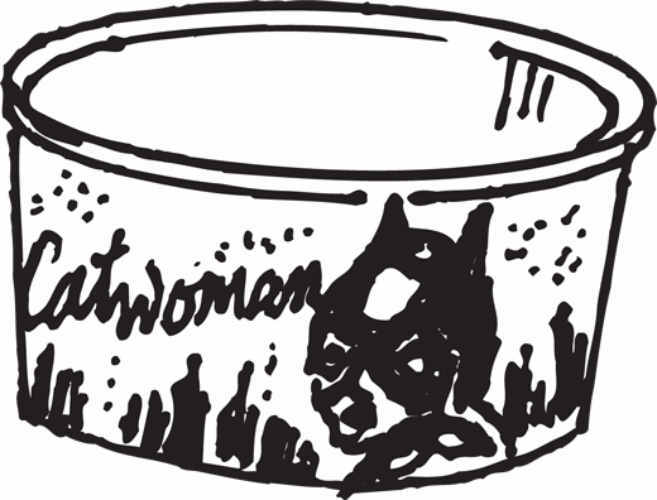 We love these for small gifts, party favors, or place cards with a surprise inside. 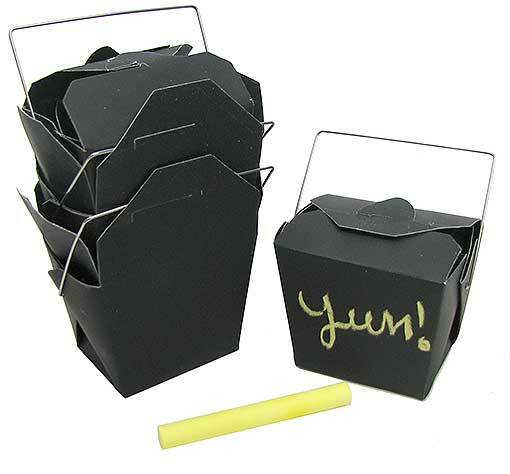 Like very small Chinese takeout food boxes with wire handles, but in black chalkboard cardboard, ready to write on with standard chalk. Measure just 2-1/2" x 2-3/8" x 1-3/4". Our each is a 5-pack. 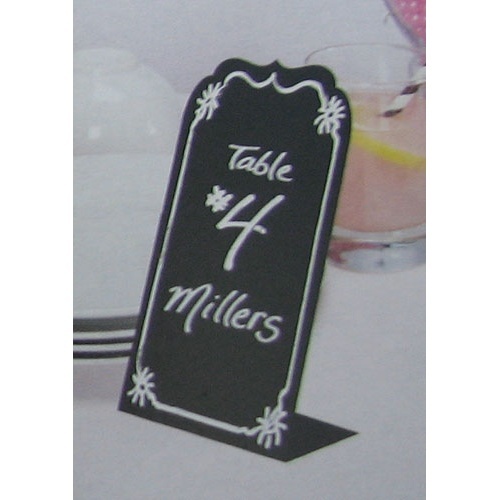 Small, but cute and handy, especially for school settings, these 6-1/4” x 4-1/2” folding black cardboard chalkboard easels make perfect, and reusable, name cards for meetings, table numbers, whatever. Write on them with standard chalk, or use white marker to make it permanent.